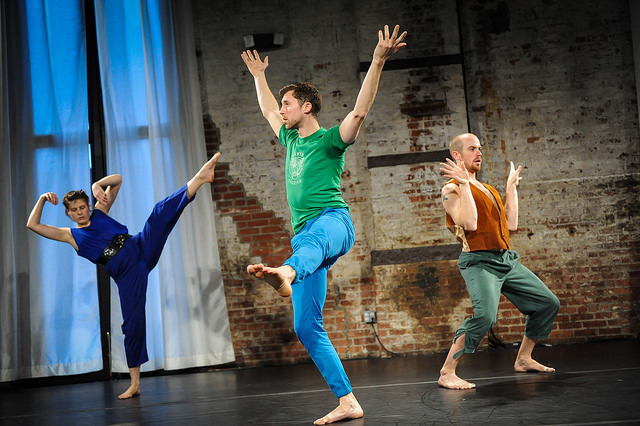 Give up, or a bird lying on its back is an athletic, improvisational score for five dancers that exhausts the ways in which words fail dance, and vice versa. Give up, or a bird lying on its back stems from the points of friction and shortcomings that exist between words and dance. 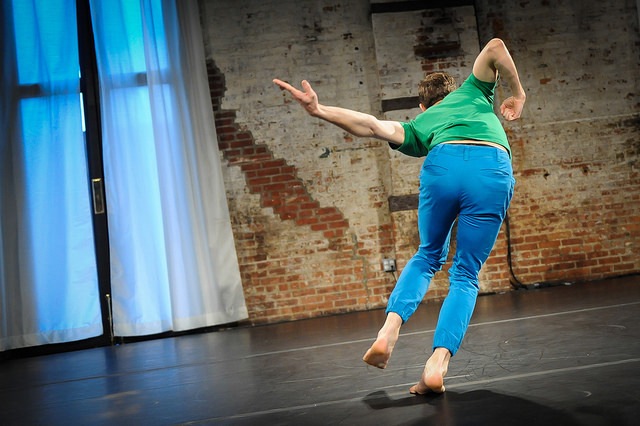 It reveals the humor that can emerge as words fail dance, and the poignancy and longing that exist in the disconnection of bodily expression and language. The work travels through the space between instinctual physical understanding and language, an uncomfortable, sometimes laughably inaccurate space. It is simultaneously inspired by the feelings that arise in artists as we are subjected to the language around our dances (criticism, journalism, publicity), and the words that we are required to use about dance (teaching, funding, marketing, pitching work). The text has been drawn from all of these sources as well as an invented process where we spontaneously invent descriptions of dance, and then must dance those words. The creative process has undergone 7 layers of translation (including sign language interpretation by Jessica Ames and poetry by Emily Skillings) as movement is described through words, the words are interpreted back into movement again and again.